Tick this bucket list trip off with Absolute Adventure. When the trails of Nepal were opened, Everest Base Camp became the premier goal for many adventure trekkers. The Everest Base Camp Trek takes one to the foothills of the mightiest mountain in the world. En route, traverse through rhododendron and pine forests, rivers, Sherpa villages and Buddhist Monasteries from temperate to snow line regions. The Everest Base Camp trek involves a tremendous amount of vertical change. 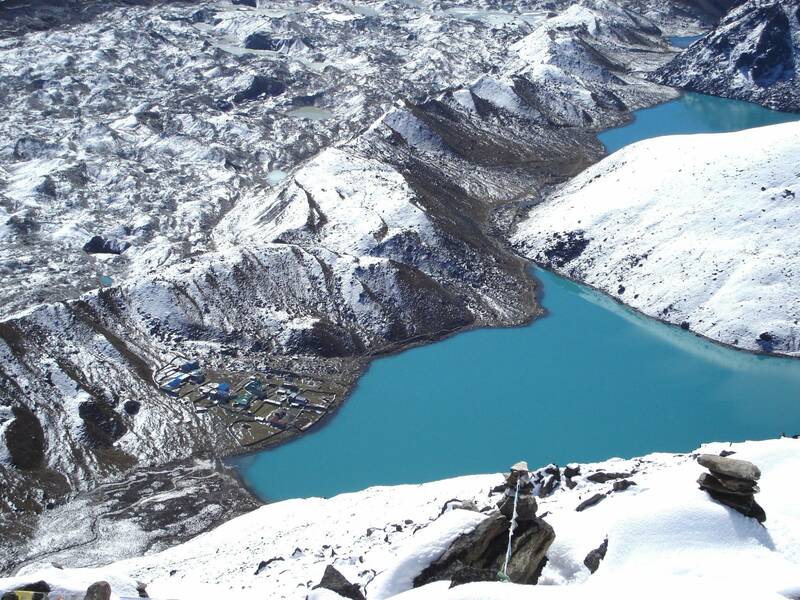 All the rivers in this part of Nepal flow south form Himalayan glaciers, but the trek route proceeds east. Therefore the path climbs to the ridge that separates two rivers, descended to the river itself, and then ascends the next ridge. 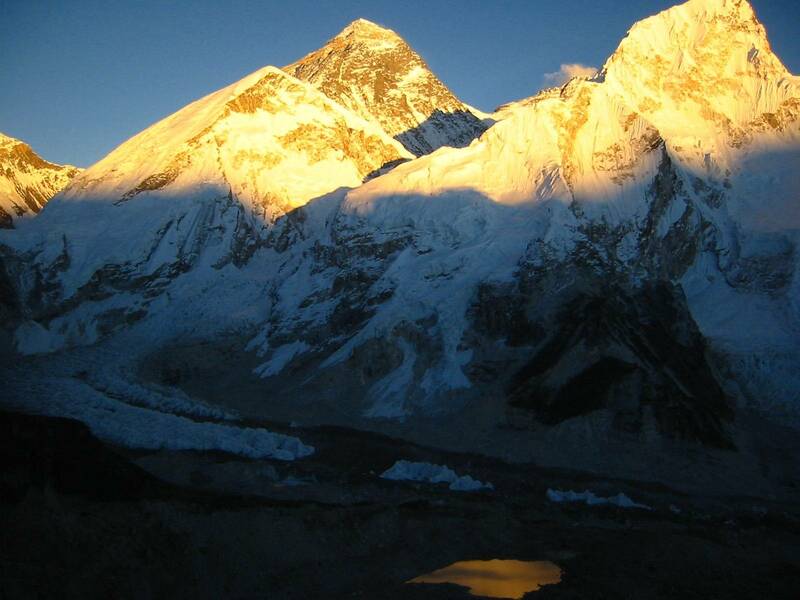 Even though the trek begins at an elevation of 1860m, on the sixth day it crosses the DudhKosi at only 1500m – after considerable uphill climbing, it will come to almost 5,500m of elevation to Everest base camp. The views of the Himalayas are stunning as this route threads through the Khumbu region from the Sherpa town of Namche Bazaar. The trekkers get a close view of the world's greatest mountains such as Mt.Everest (8,848m) and other mountains like Lhotse, Nuptse, Thamserku, and Tabuche. A full itinerary is available for download on the right hand side of this page, please click 'Download PDF'. Absolute Adventure normally puts 2 trips a year on the calendar, one for each climbing season. It is possible to arrange trips outside of these dates for groups of 6 or more. Please get in touch to find out more. Arrival in Kathmandu’s Tribhuvan International Airport. Transfer to the hotel for refreshment and rest. Pre-trip briefing and trip preparation. Preparation Day and sightseeing in Kathmandu. Optional sightseeing in the morning and final preparations for the trek. Dinner and overnight at hotel in Kathmandu. Early morning-fly from Kathmandu to Lukla highlights the snowline of the Himalayan range in the north and landing in the Lukla airport is said to be one of the most spectacular flights in the world. After a short break, the trek starts by following the trial leading to the northwest direction, which ultimately descends to the river at Phakding (2652m). Follow the BhoteKoshi through the forest and pasture land, along the valley dotted with small Sherpa Settlements. 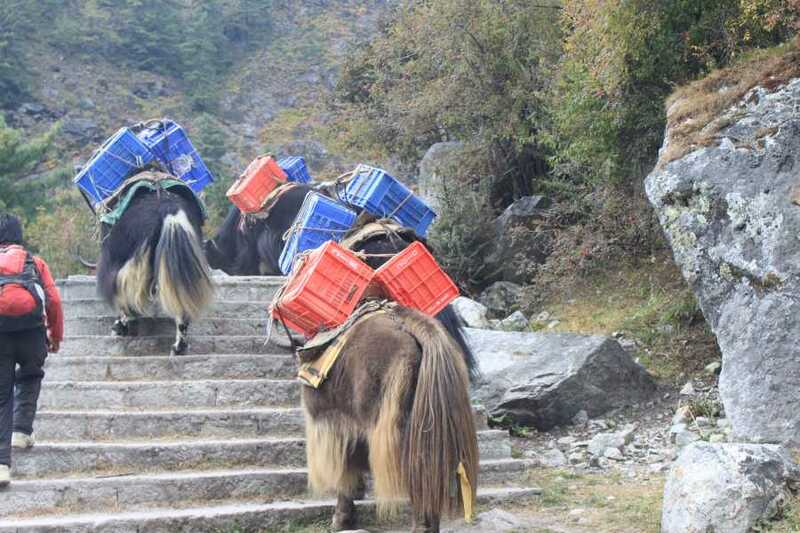 Cross the BhoteKoshi and climb steeply, along switching back trail, lies the large Sherpa village of Namche Bazaar. This town is largest one in Khumbu. Mt.Thamserku (6,648m) and Kwangde-Ri (6,624 m) loom along the east and west of the village. The sacred mountain Khumbila (5,707 m) dominates the skyline along the west. Dinner and overnight at Namche Bazaar. 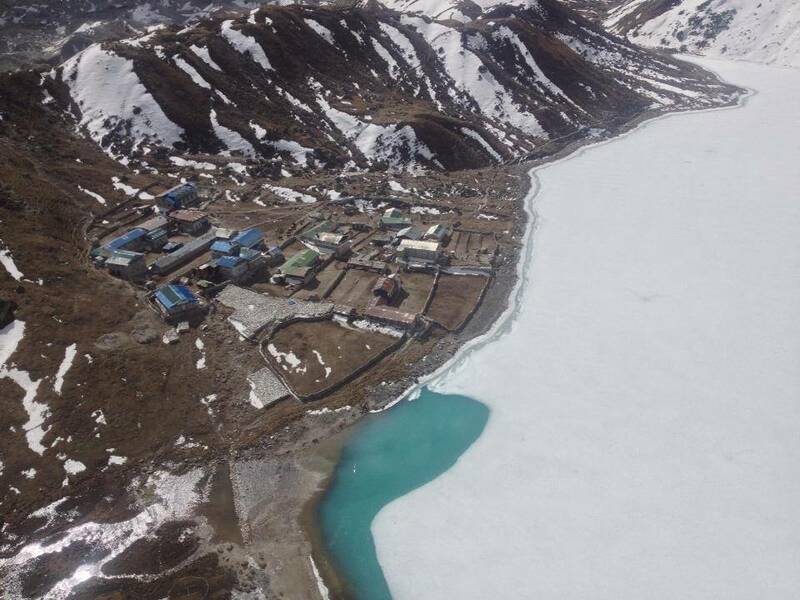 Optional day trip to Khunde/ Khumjung &Syangboche. Walk to the checkpoint to show the permits. Then walk uphill for a short period to reach a huge prayer stone from where the path straightens and we get magnificent views of some of the Himalayan ranges. Later as we walk we descend through the rhododendron forest. As we reach the valley, there is ImjaKhola (river) where we stop for a lunch at Phunki (3200m), next to several large water driven prayer wheels. The afternoon is spent climbing slowly on a steep trail to the Tengboche Monastery and one of the most beautiful spots on earth. 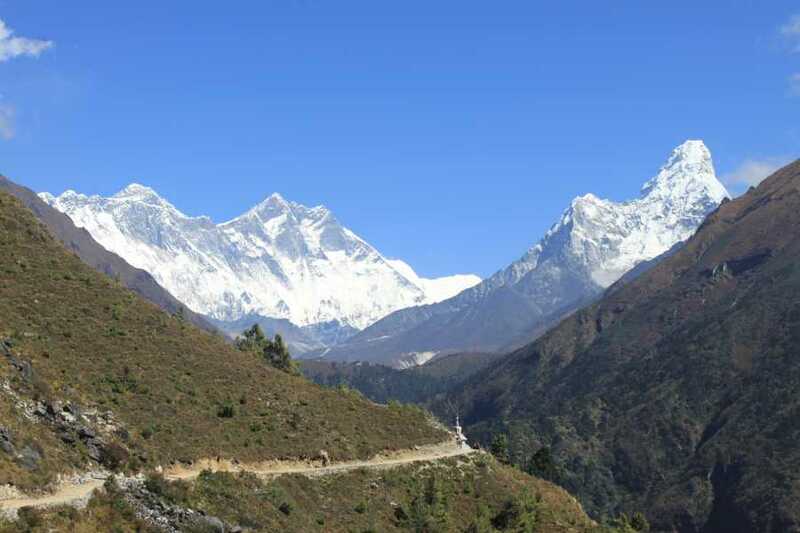 Tengboche lies at the base of Kangtaiga and is a classic setting with superb views backs up the valley to the AmaDablam, and the Everest poking its southwest face over the huge ridgeline linking Nuptse and Lhotse. At the rear is the beautiful west face of the Thamserku (6,608m) and Kangtaiga (6,685m). Dinner and overnight at Tengboche. After having breakfast at lodge, we start our trekking with descending through Rhododendron forest to the Imja Khola and cross exciting suspension bridge on it and walk passing by a long Mani stone wall to enter the village of Pangboche, our route continues through summer pastures to Dingboche village. Optional side trip towards Chhukung or Nakartsang hill at Dingboche. The trail ascends the broad, gently sloping valley from Periche to PhalangKarpo. The views of Tawachee and Cholatse (6440m) are particularly good. Some people do stay overnight in Dugla as suggested by the doctors but many of them go to Lobuche. We start our day early in the morning. After about one-and-half-hours walk we get to see the Khumbu Glacier. The path becomes tougher not because it’s uphill but more rocky and also due to the high altitude. We reach GorakShep in about three hours. This was the base camp for the 1952 Swiss Everest expedition. 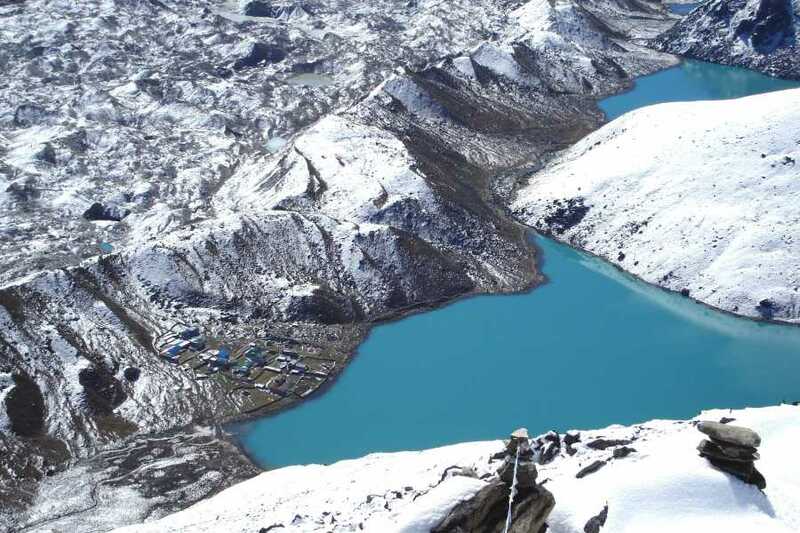 GorakShep has a small lake that is usually frozen and several monuments to climbers who have died during various Everest expeditions. 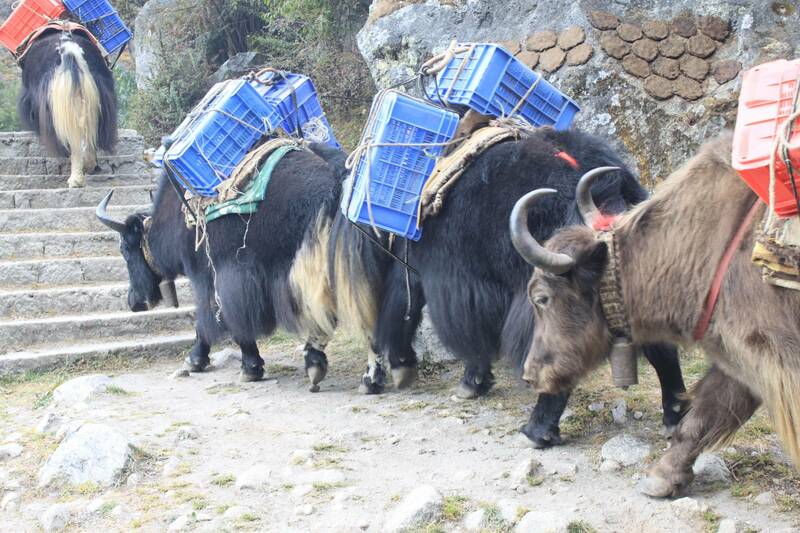 Most of the trekkers reach GorakShep by the lunch time and they have enough time to visit Everest Base Camp. Everest base camp is not actually a specific site. Various expeditions have selected different locations for a semi-permanent camp during their assault on the mountain. Some of the sites that expeditions have used as base camps are identifiable form debris on the glacier at 5,360m or more. 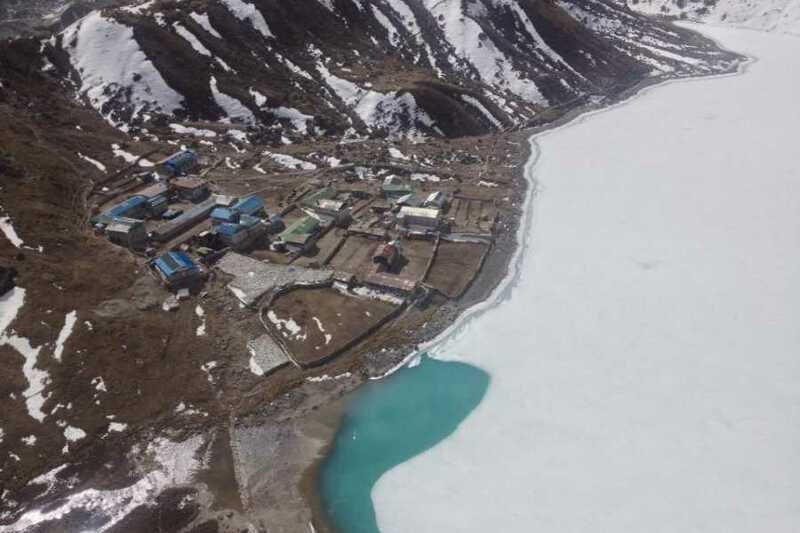 The trip to base camp, while fascinating, is not spectacular as the ascent of Kalapatthar because there is no view of Everest itself from base camp. 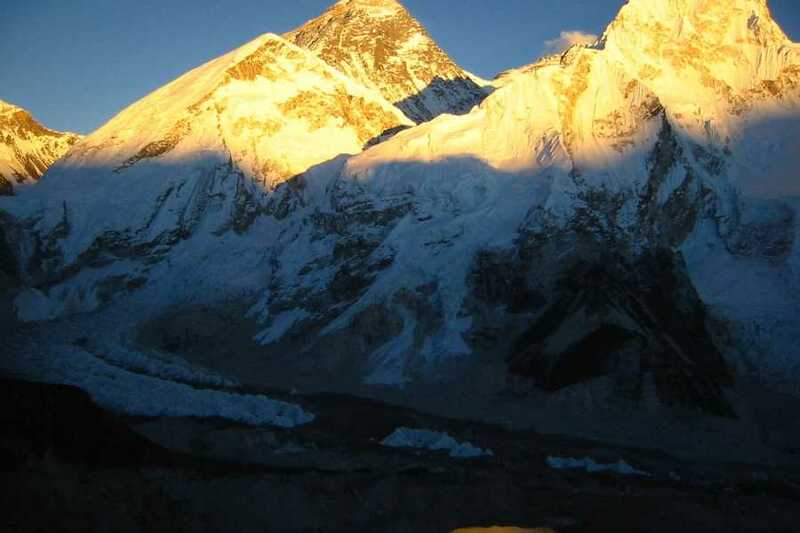 Today we start early in the morning before sunrises to climb Kala Patthar. 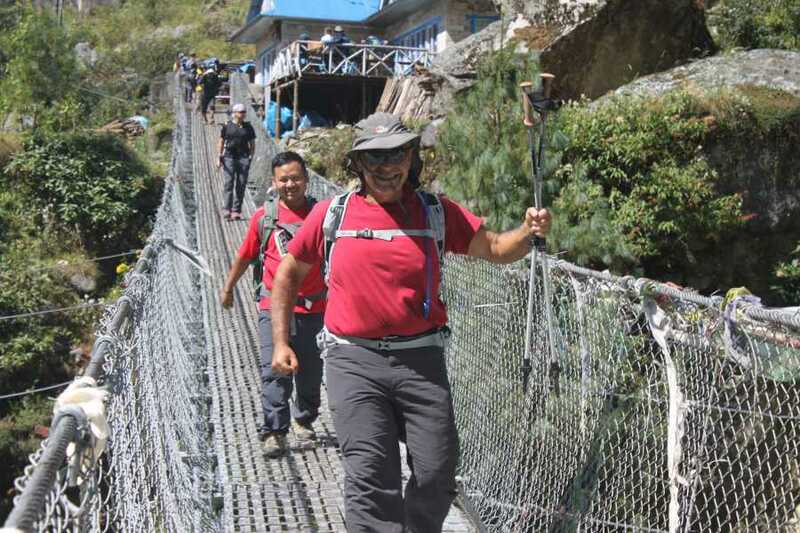 The walk is quite tough but worth doing it, as we do get the spectacular views of the mountain including Everest. After the walk to kala patthar we do get down to the lodge for breakfast and continue our walk back down to Pheriche. Dinner and overnight at Pheriche. The walk to Kyangjuma is delightful, made easier by decreasing altitude and warmer, softer climbs. Back track to lLukla via Monjo . Dinner and overnight at Lukla. Early morning, fly Lukla to Kathmandu. Upon arrival, meet, assist and transfer to the hotel for refreshment and rest. An extra day but into the itinerary to account for any delays due to cancelled flights, bad weather etc. Like all good things this adventure, too, must come to an end. We’ll transfer to the airport 3 hours prior to the scheduled flight.